Take Wicked. Willemijn Verkaik has been a huge success story for the Wicked producers over the years, setting records as Elphaba, the Wicked Witch of the West. The 39 year old Dutch actress has a unique claim to fame, having played the role in five productions, in four countries and in three languages. Starting in December 2007, she created the role in the German production in Stuttgart and remained the official Elphaba in that production and subsequently in the transfer to Oberhausen until 2011. After an eight month break, she greenified herself again for the Netherlands premiere in Scheveningen, learning the role in her native Dutch. After a 15-month run, Verkaik transferred to Broadway for a limited 15-week appearance in 2013. Finally, she took up residency at the Apollo Victoria in London in November 2013 for a year-long run. 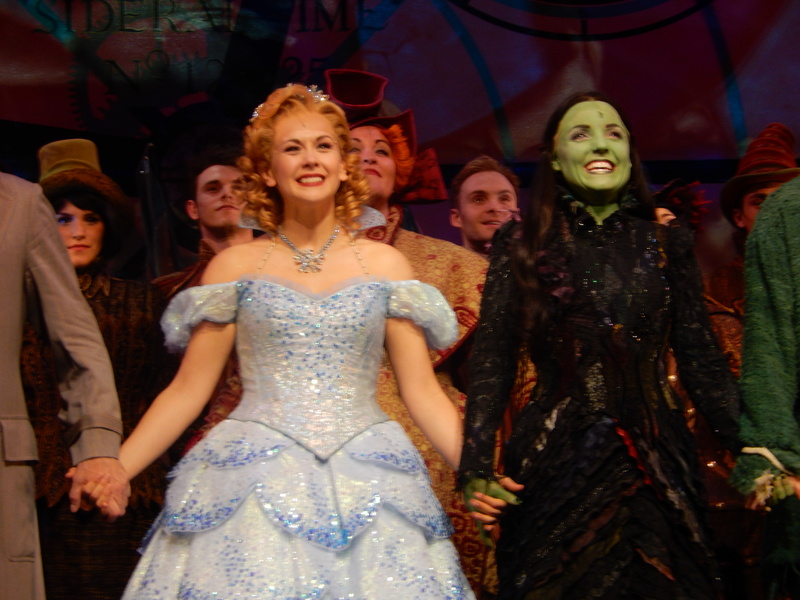 Her multi-language run, singing the role thousands of times, earned her the epithet ‘Super Elphie’. 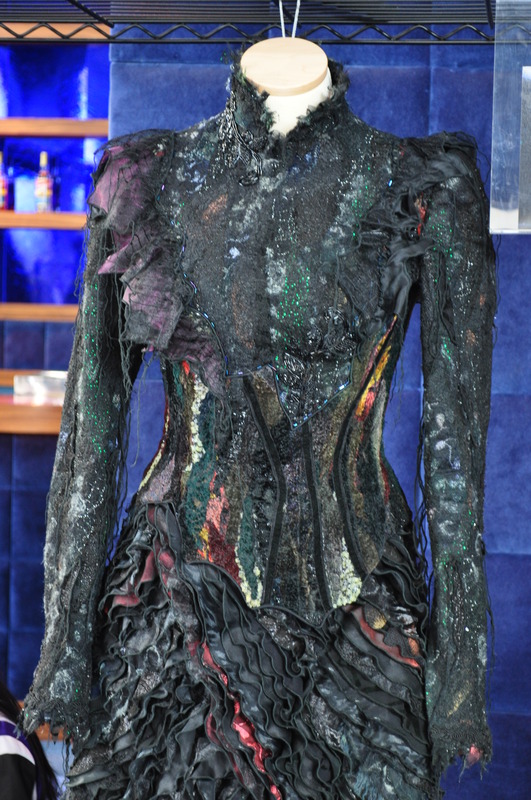 For an insight into the extraordinary cost of Elphaba’s dress, click here. However, a persistent back problem forced her to cut short her London run: on doctors’ orders, she left the production at short notice in order to have an operation. The announcement was made on 14 July. Her last night was to be 19 July. Verkaik was cutting short her run by three months. Her scheduled replacement had already been selected, but Nikki Davis-Jones is currently playing the role in the UK touring production, so moving her into the West End immediately would merely have solved one problem and created another. So how does a production replace a star at short notice? The producers clearly felt that they could not let the show rest on an understudy’s shoulders for months on end, so a replacement was needed. When The Producers opened in the West End in 2004, its producers faced a similar problem. They had cast Hollywood veteran Richard Dreyfuss in the lead role of Max Bialystock. But as opening night drew closer, it became clear, to their horror, that Dreyfuss was not good enough. To huge embarrassment and cost, they had to terminate his contract: to open a major musical with massive running costs at the cavernous Theatre Royal Drury Lane with a lead who was not up to the job would have been suicidal. “A month into the London run, I required knee surgery. Instead I got by on physical therapy. Then my back went. 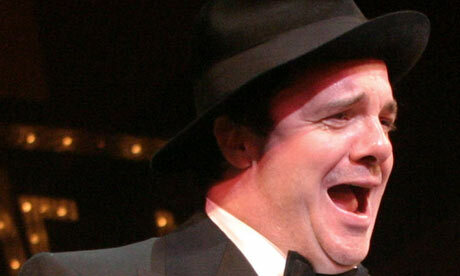 I had sciatica.”, Lane told the Guardian. An understudy took over. But the short-term aim had been achieved: a big name had garnered great reviews on opening night and Lane, with co-star Lee Evans, won the Evening Standard award for Best Musical. The Wicked Producers used the same three-point checklist and alighted on the only possible solution: to hire the only person with arguably more kudos in the role than Verkaik. They turned to the unofficial First Lady of the West End, Kerry Ellis. Ellis was the first London Elphaba (after Broadway’s Idina Menzel’s 12 week opening stint) from 1 January 2007. Her performance earned her the Whatsonstage Theatregoers’ Choice Award for Best Takeover in a Role. After 18 months in London, she spent five months as Elphaba on Broadway, where she won the Audience Award for Favourite Female Breakthrough Performance. 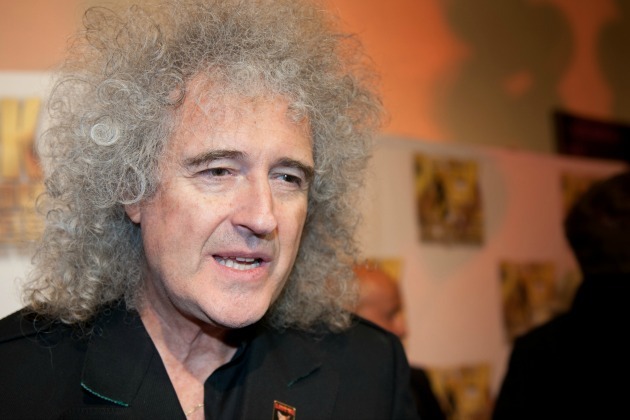 As a protege of Queen’s Brian May, who discovered her talent when she was in the original cast of We Will Rock You, May and Ellis collaborated on the EP Wicked in Rock, which was released while she was on Broadway. After her run on the Great White Way, she returned for a further five months to the West End. After Wicked, Ellis took over the role of Nancy in Oliver! from Jodie Prenger at the Theatre Royal Drury Lane. She has also played leading roles in Miss Saigon, My Fair Lady and as Fantine in Les Miserables. In 2010, she released her album Anthems, again produced by Brian May, which charted at number 15 in the UK albums chart. The album contains the tearjerker You Have To Be There from Benny Anderson and Bjorn Ulvaeus’ Kristina as well as two tracks (Defying Gravity and I’m Not That Girl) from Wicked. 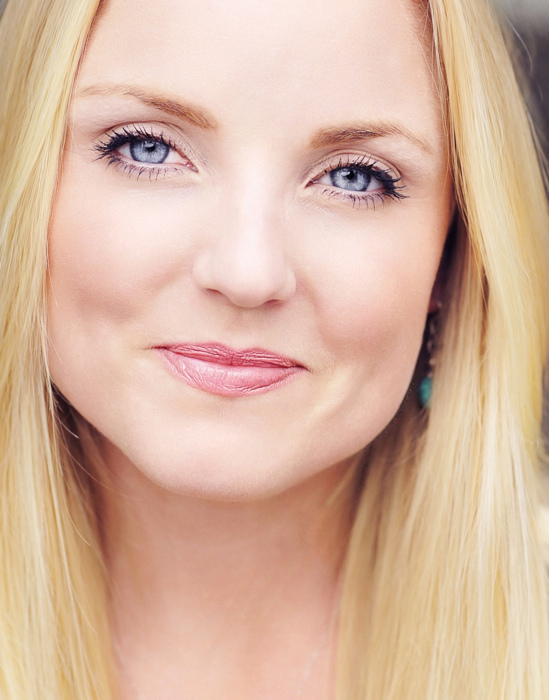 So who better to replace ‘Super Elphie’ Verkaik than London’s original Elphie, Kerry Ellis. If in doubt, go back to the original. Verkaik announced her withdrawal on 14 July, effective 19 July. Ellis was starring again by the first week in August. For an insight into the Apollo Victoria’s place among the largest theatres in London, click here. A brilliant and amazingly quick solution to a major problem. Showbusinessinsights saw Kerry this week. Incredible performance. 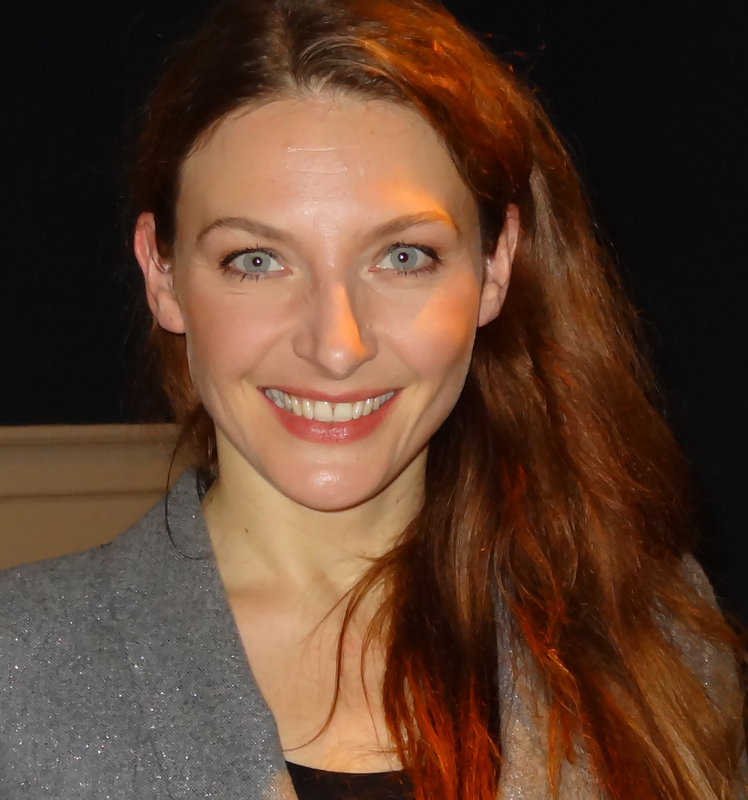 Showbusinessinsights wishes Willemijn Verkaik a speedy recovery. Just as for many Sean Connery will always be the best 007 because he was the original, Kerry Ellis will always probably remain London’s favourite Elphaba. Catch her back in the role while you can. She’s only here until the end of October. This entry was posted in musicals, Theatre and tagged Apollo Victoria, back injury, Broadway, elphaba, galinda, glinda, idina menzel, kerry ellis, lee evansm brian may, max bialystock, nathan lane, nikki davis-jones, oberhausen, operation, richard dreyfuss, scheveningen, stuttgart, the producers, theatre, West End, wicked, willemijn verkaik by showbusinessinsights. Bookmark the permalink.